Language: Catalan, but French and Spanish are spoken too. Major Political Parties: Democrats for Andorra Party (Democrates per Andorra), Social Democratic Party (Partit Socialdemòcrata), Lauredian Union (Unio Laurediana), Greens of Andorra (Els Verds d'Andorra), and Andorra for Change (Andorra pel Canvi). Membership of International Groupings/Organisations: Council of Europe, United Nations (UN), [in particular; United Nations Educational Scientific and Cultural Organisation (UNESCO), United Nations Conference on Trade and Development (UNCTAD), United Nations Children’s Fund (UNICEF), World Health Organisation (WHO)], Interpol, International Centre for the Study of the Preservation and Restoration of Cultural Property (ICCROM), Organisation for Security and Co-operation in Europe (OSCE), International Red Cross (IRC), International Civil Aviation Organisation (ICAO), International Telecommunications Union (ITU) and World Tourism Organisation (WTO). Legend has it that the founding of Andorra was a gift from Charlemagne in recognition of the aid given by its people in fighting against the Saracens in 788 AD. 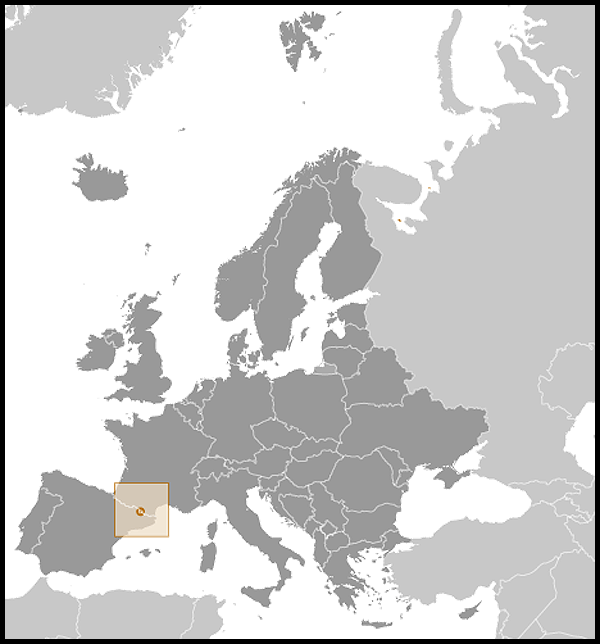 The first official documented mention of Andorra was in 839, as a fief of the Counts of Urgell in Spain. But it wasn’t until 1176 that a formal agreement between the Bishop of Urgell and the people of Andorra recognised the sovereignty of the See of Urgell over Andorra. Until the late 13th Century, Andorra was a source of conflict between the Counts and the Bishops of the See of Urgell, eventually culminating in 'The Pariatges' of 1278-1288, which established co-sovereignty between France and Spain. Through marriage, the Counts of Urgell later became the Counts of Foix in France, one of whom was later to become King Henry IV of France. Thus the rights to the co-sovereignty of Andorra passed into the hands of the Kings of France. This remained so until the French Revolution when Andorra briefly lost one of its joint rulers as the new Republican regime rejected its co-sovereignty rights due to its feudal origins. Napoleon Bonaparte reclaimed France’s rights to jointly rule Andorra and so the Head of the French Government is also co-sovereign of Andorra. This arrangement endures to this day, with the President of France, Nicolas Sarkozy, and the Bishop of the See of Urgell, Joan Enric Vives Sicília, as the joint heads of State of Andorra. In 1993 Andorra became a Parliamentary Co-Principality with the adoption of the first written Constitution. The Co-Princes remain as joint Heads of State but the role has become mainly ceremonial. They have retained some measure of power as their consent is still needed for national and international laws to be implemented, as well as for Andorra joining any international organisation or signing any treaties. Andorra shares close and beneficial relations with Spain and France. Andorra has no trained armed forces, relying on her large neighbours to protect and assist in her defence. In 1993 Andorra became a member of the UN, thereby gaining international recognition. This in turn has seen Andorra establish diplomatic and trade relations with numerous countries, especially in the Far East. 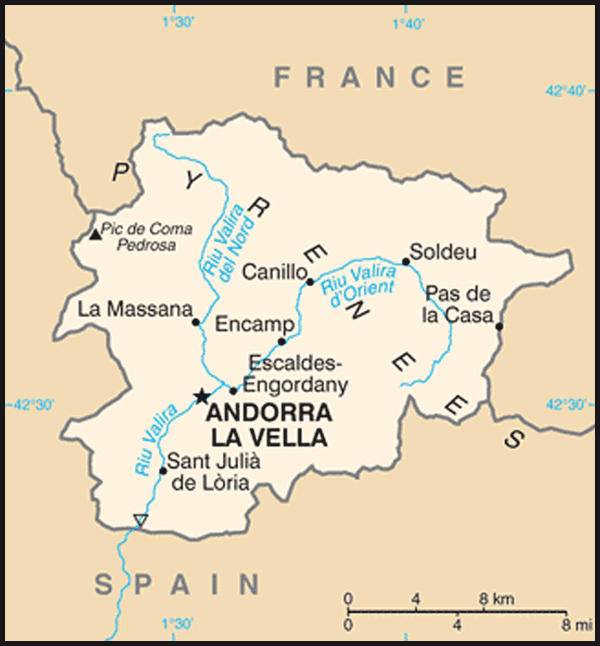 Although not a member of the EU, and in addition to being a member of its Customs Union, Andorra entered into a Co-operation Agreement with the EU that came into effect as of 1 July 2005. This means that Andorra is able to participate in and benefit from some of the key areas that the EU members focus on such as education, transport network, environment, culture or social issues. The United Kingdom enjoys good relations with Andorra. 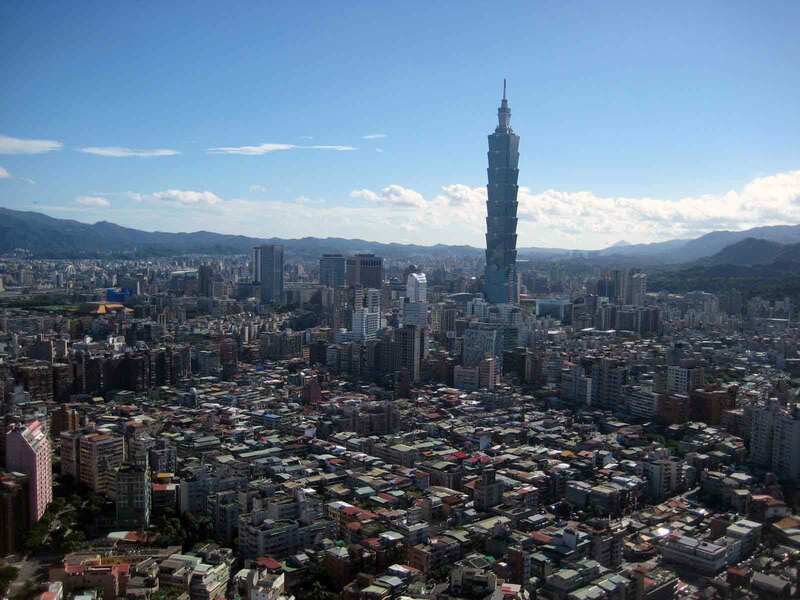 We co-operate closely in several areas including education, judicial affairs and international institutions. The British Ambassador in Madrid is accredited to Andorra. The Principality of Andorra is a small landlocked mountainous country sitting in the heart of the Pyrenees between France and Spain, with whom it shares a border of 57km and 64km respectively. Andorra is divided for administrative and territorial purposes into seven parishes: Canillo, Encamp, Ordino, la Massana, Andorra la Vella, Sant Julià de Lòria and Escaldes-Engordany. It has no airport and can only be reached by road from France or Spain. Andorra's duty free shopping and low price levels attract tourists and businesses alike. Andorra is a member of the EU Customs Union and is treated as an EU member for trade in manufactured goods and as a Non-EU member for trade in agricultural products. On 3 April 2011 the centre-right opposition Democrats for Andorra Party won a landslide victory in the parliamentary elections. They won 20 of the 28 seats in Parliament, against 6 for the incumbent Social Democrats. The Social Democrats called early elections after failing to secure Parliamentary Approval for the budget. The new Prime Minister, Antoni Martí, was sworn in on 11 May 2011. His election campaign focused on restoring growth, balancing public finances and opening up the Andorran economy. Andorra has increasingly sought closer ties with the European Union in recent years. 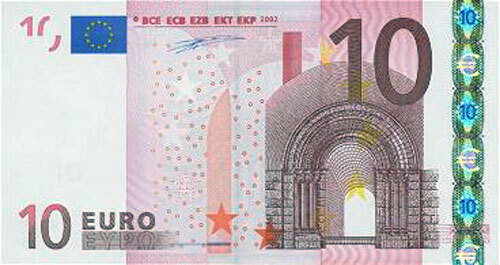 This process has accelerated since the OECD removed Andorra from its “grey list” of un-cooperative tax havens in 2009.